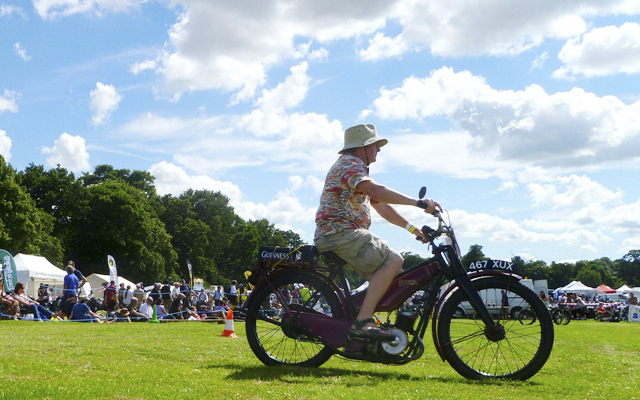 The Leicestershire Enthusiasts will be at this Sunday’s Vintage Motor Cycle Club’s ‘Founders Day‘ at Stanford Hall near Lutterworth, Leicestershire, LE17 6DH. If you’ve not been before, it’s a great show with all the major marque clubs displaying their finest, along with a central arena to see machines in action. The autojumble must be one of the best around too. If you are coming some distance, there is camping at the Hall on the Saturday night. 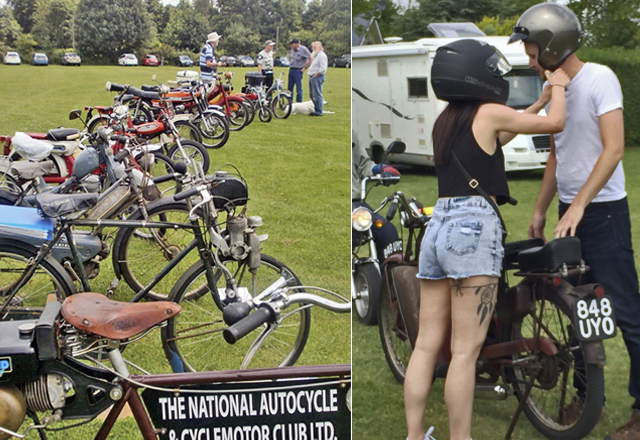 The theme for this year is American motorcycles – you couldn’t get further from the exhibits on our NACC club stand. 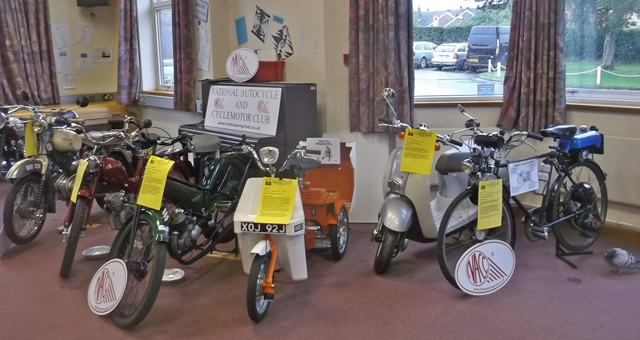 After oggling the big vee twins, pop along to see the Leicestershire Enthusiasts who will be presenting choice examples of machines small and perfectly formed … complete with a little LPA for good measure when they cut a dash in the arena! 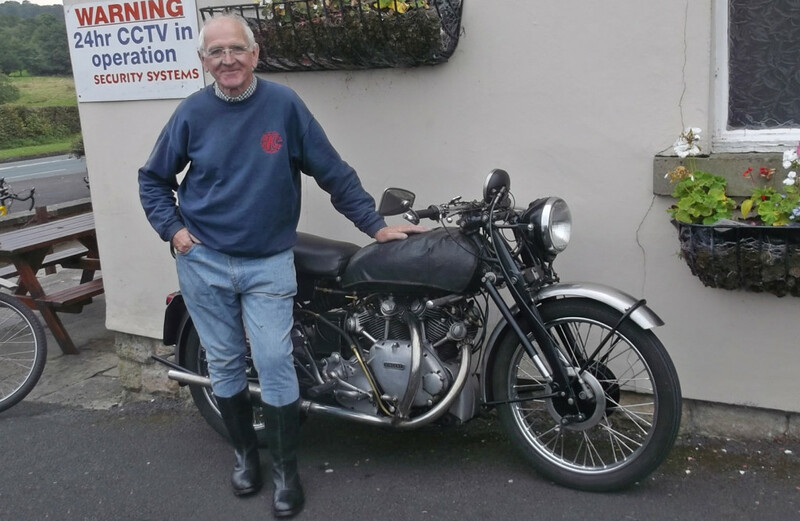 We have a new Membership Secretary in Brian Groves of Berkshire who has volunteered to take on the role previously undertaken by Bob Jeffcoat for the past ten years. Brian’s contact details appear on the on-line membership application form – so all new applications and renewals will need to go to Brian. Proving you can’t keep a good man down, Bob Jeffcoat has taken on the role of Events Secretary from Liz Butler. Applications for Event Permits and return of completed permits should now go to Bob over in the West Midlands, rather than Liz. Contact details on the Events Permit Form. Having just recovered from this year’s highly successful annual rally, Liz Butler has breathed a sigh of relief as her three committee ‘hats’ are reduced to two – she retains Treasurer and Acting Club Secretary roles, so any matter you wish to put to the club committee can be sent to Liz (and/or Chairman Ray Butcher). Section meetings galore next week! We receive a good many e-mail enquiries here at Buzzing HQ from new and prospective members about getting various machines to run well. Our advice always includes a suggestion to pop along to your nearest section meeting where there will bound to be someone able to help … and the second week of the month seems to be a popular one for monthly meetings. 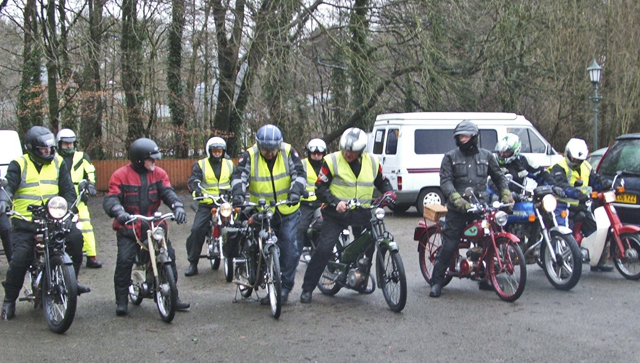 It all starts with the Worcestershire & Gloucestershire Section who meet on the second Sunday – the 9th this month. You will have to contact Section Rep Roger Watkinson to find out where and when. His e-mail is watkinsons@talktalk.net. Heading south to the Solent, the South Hampshire Section meet at 8pm on the second Monday at The Coach and Horse Pub on the Southampton Road in Cadnam – that’s the 10th. The Leicestershire Enthusiasts have their get together at The Queen Victoria Pub in Syston, starting 7.30pm every second Tuesday – that’s the 11th next week. Up North, the Granadaland-Lancashire Hot Pops Section meets at 8pm back at their old haunt, the re-opened Farmers Arms pub at Bispham (near Parbold) on Wednesday 12th. The other side of the Pennines in White Rose Country, the Yorkshire Section meet in the evening every second Thursday – the 13th next week – at The Wagon and Horses Pub at Fairburn just north of Ferrybridge. Not forgetting the Warwickshire WACCers who meet most Thursdays at the Fleur de Lys pub in Lowsonford near Henley in Arden. And, come Friday, you’ll be ready to put your feet up if you’ve buzzed along to all of those!! Photo: Granadaland / Hot Pops ready for the off! 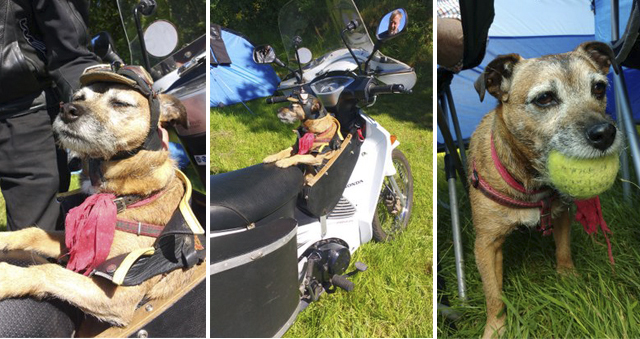 The star at last weekend’s Annual Rally in Wolverhampton – if the photos doing the e-mail rounds are anything to go by – must be Annie the buzzing terrier. She looked the part as she enjoyed the weekend’s runs, and was the centre of attention once back at the rally campsite. During the club’s Annual Dinner at the Rugby Clubhouse, Annie must have visited all of the tables. Well, with a beef dinner on the menu and all that charm of hers, there were titbits aplenty! With the high days and holidays of mid-summer now in full swing, the club’s events are coming up thick and fast. If you’ve just about recovered from bouts of LPA at the annual National Rally last weekend, there are more tempting events in store this coming weekend, 8th and 9th July. In Kent, Nick Devonport’s Kent Sussex & SE London Section have their annual Summer Camp at Kingsdown, near Deal, Kent, CT14 8DU. Details from Nick – e-mail: nick_devonport@hotmail.com. 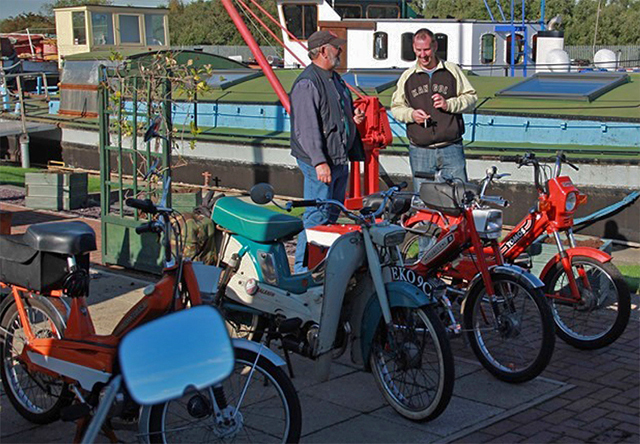 Alternatively, head east into Suffolk and the East Coast Pedalers have their run out on the 8th to the Melton Village Fete, some 10 miles NE of Ipswich. 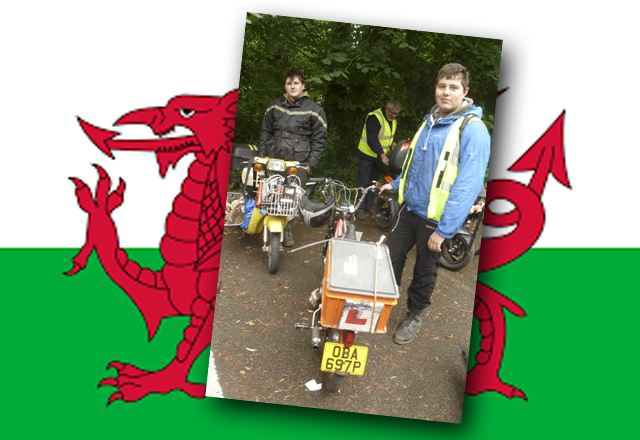 More details from Carl Squirrell – e-mail: eastcoastpedalers@hotmail.com. You will find them on Facebook too. Over in the West Country, it’s the big Powderham Castle Show in Kenton near Exeter, EX6 8JQ. The Devon Autocyclists Section have a stand for the weekend (and their famous Chippy Run! ), so pop over to say hello if you are heading to Powderham. 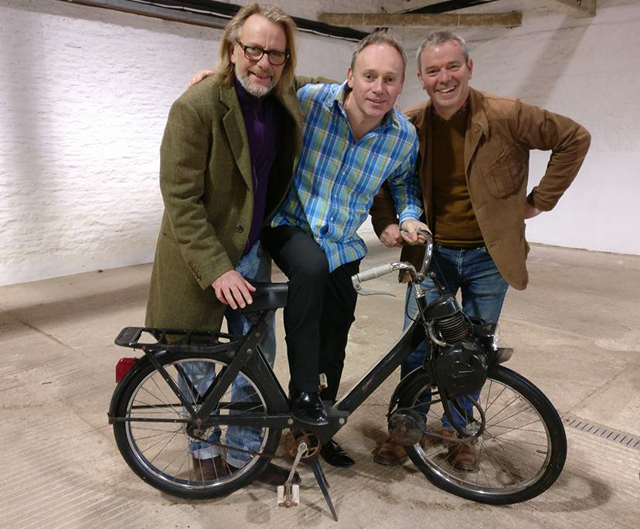 For more details contact Roy Best by e-mail: roy@devonautocyclists.co.uk. You will find them on Facebook too. 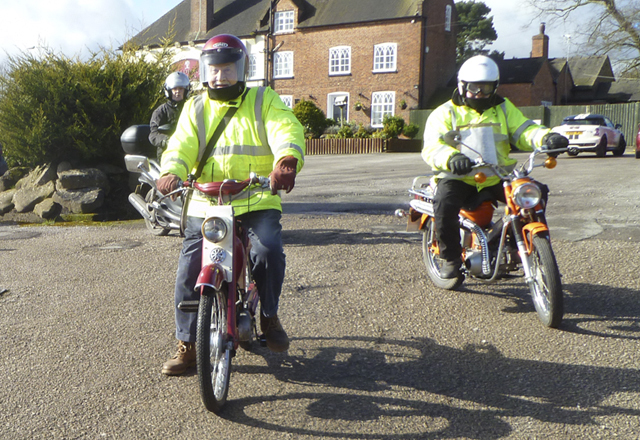 And, not forgetting our good friends in the Vintage Motor Cycle Club’s Cyclemotor Section; they have their ‘Bikes in Beds’ run starting 10am on Sunday 9th from The Bell Inn, High Street, Little Addington, Northants, NN14 4BD.